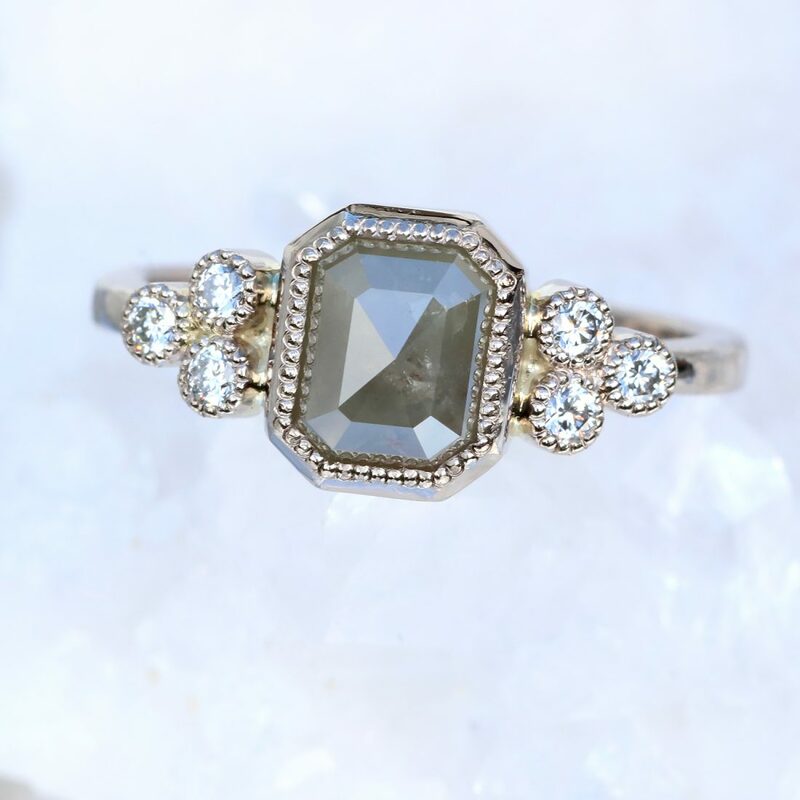 A truly unique diamond engagement ring featuring a spectacular emerald cut grey diamond flanked by clusters of Canadian white diamonds. 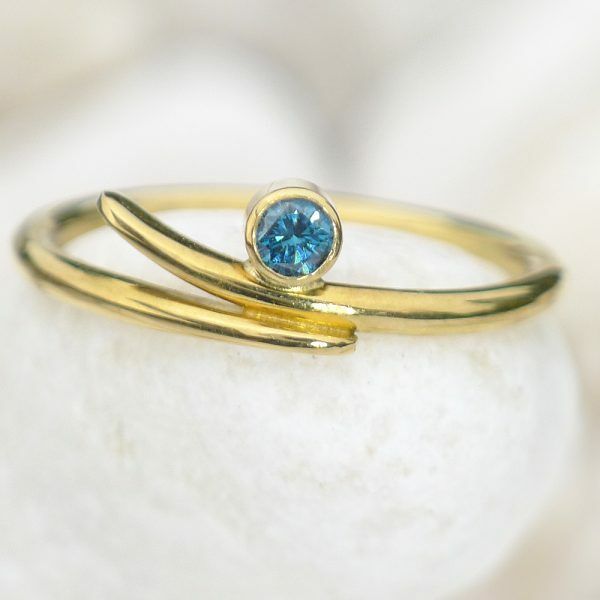 This sensational one of a kind diamond ring is a UK size M but can be adjusted to fit other sizes. 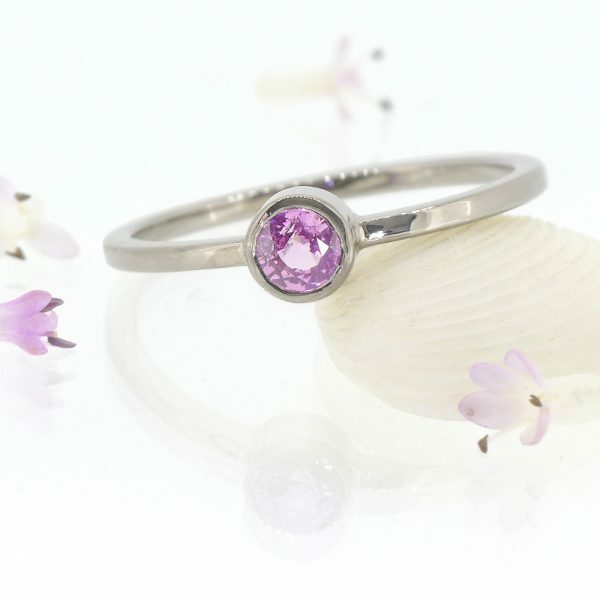 Please scroll down for a contact form to enquire about resizing this ring prior to placing your order. 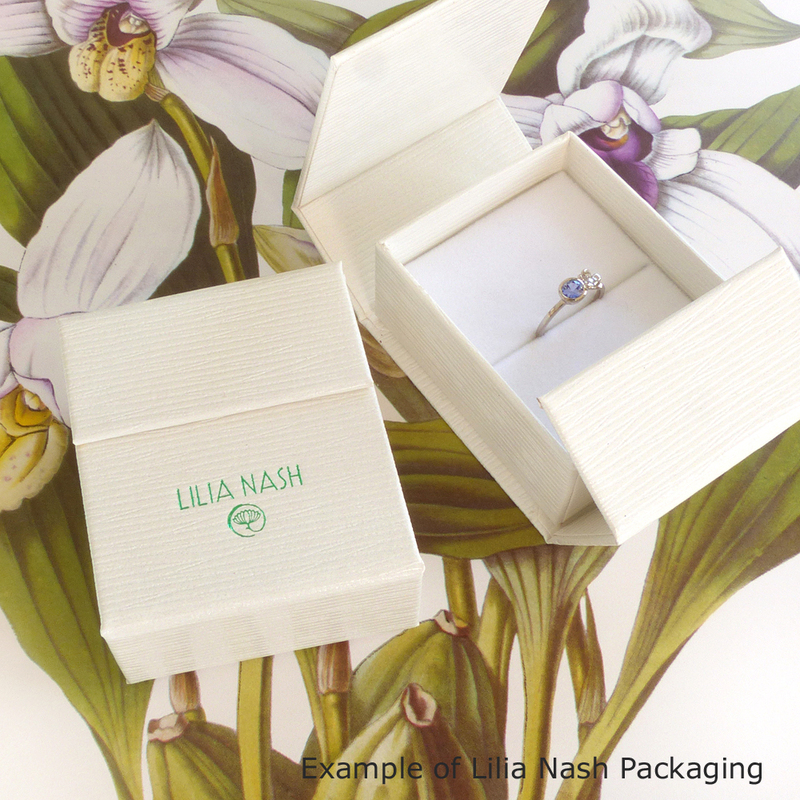 Designed to stack with a Lilia Nash wedding ring, but also perfect as a statement ring for any finger. 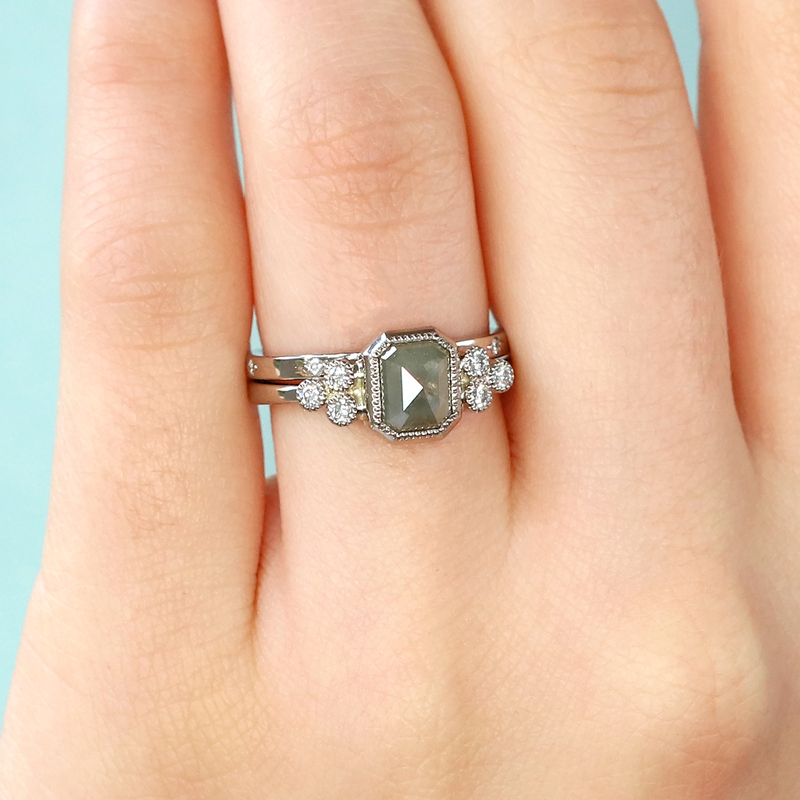 The centre stone is this gorgeous engagement ring is an emerald cut natural diamond (1.88 carat, 7.12 x 5.80mm, Botswana), in a migrain-edged setting. 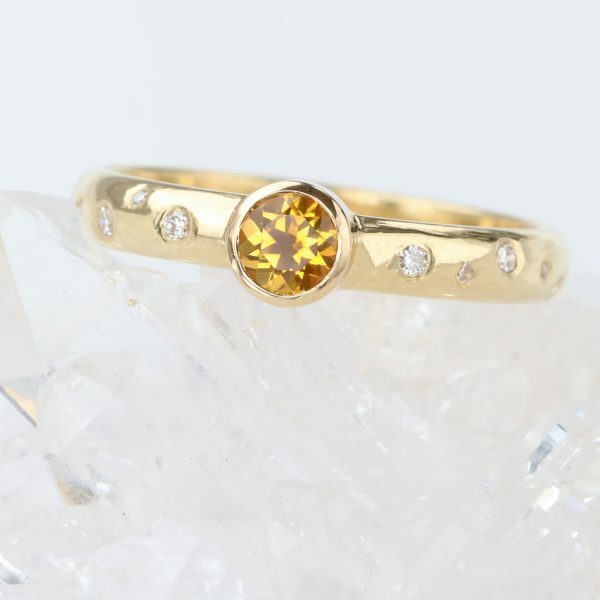 The side stones are 1.8mm Canadian round diamonds. 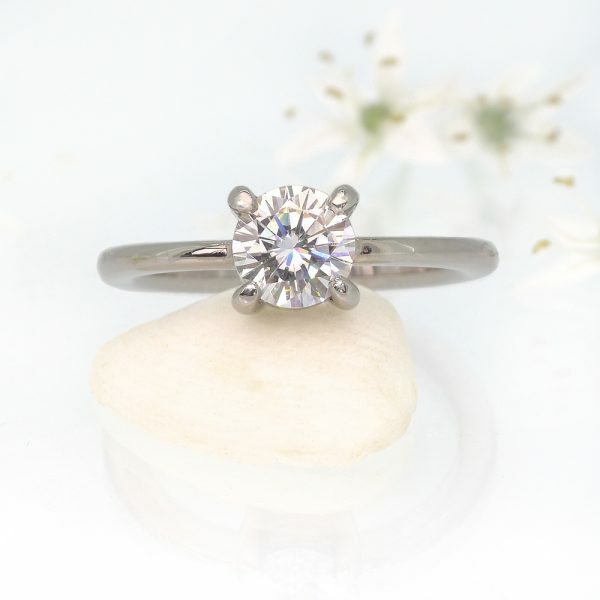 The 18ct white gold ring is available in size M, however it can be adjusted. 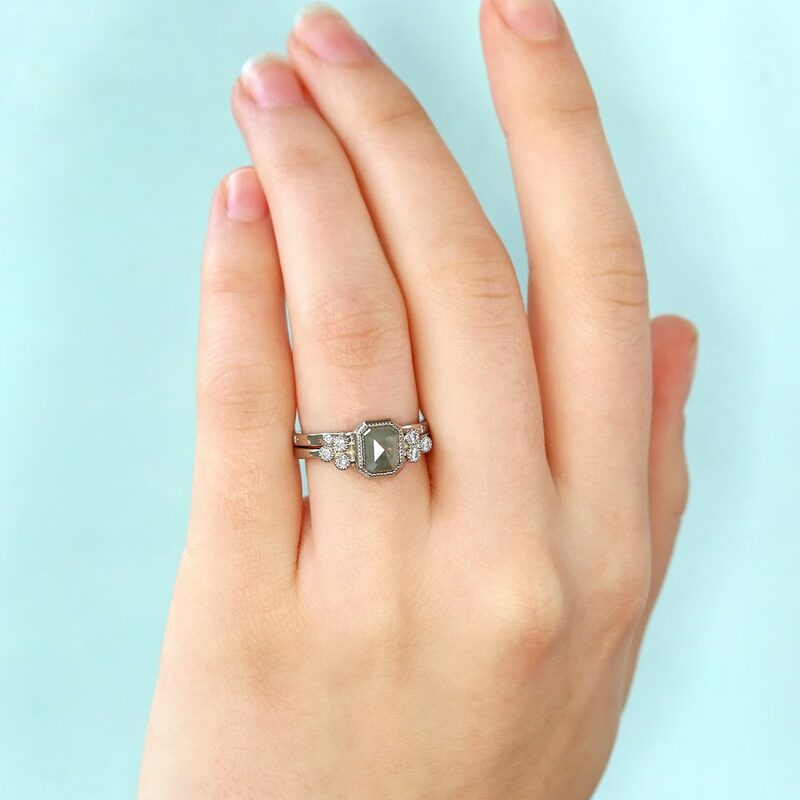 The ring is designed to fit with a wedding band, which would sit behind the setting, but of course it can also be worn a statement ring. 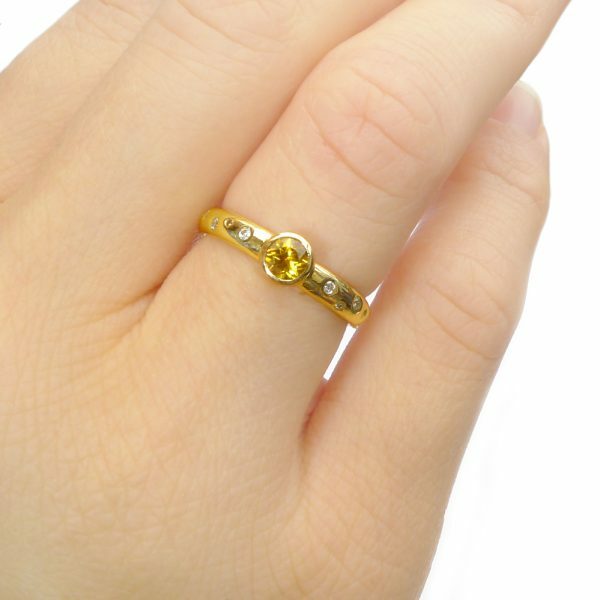 A 2mm flat profile wedding ring would sit behind the setting of this ring. Handmade in Lilia’s studio in Lechlade-on-Thames. The rose cut diamond ring has been hallmarked by the Birmingham Assay Office and will be presented in our high quality jewellery box.